We work in different industries here in Singapore and in every industry, there entails workplace hazard. With that, it is important that we know what we are up against so we can rise above it. If we do not know the level of hazard we are putting ourselves into, we are putting our lives on the line. Regardless of what industry we belong to here in Singapore, we use our backs all the time to get things done. Others ignore their backs because they find it insignificant. There are also others that it is okay to sustain workplace injury because the company will pay. This kind of thinking will lead us to injuries. It is high time that we give our backs the importance it deserves because injuries are imminent. B: Be sure to plan the lift. When we are about to lift something, it is imperative that we plan and organize things so when we will walk that path, we will not encounter anything. The best thing that we should do is clear the path of any obstruction no matter how irrelevant we think it is. A: Assess if the load is heavy. Sometimes, when we try to carry something, we just lift it without thinking of its weight. If it is too heavy and we think we can do it, we do not ask for help and just push through. That is not recommended. It will not do us harm if we ask for help. If the load is too heavy, we need to ask for help or assistance. 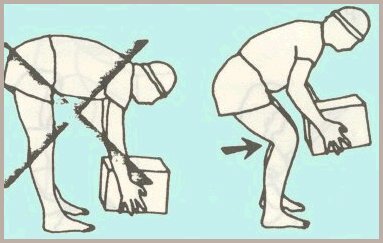 C: Carry the load close to the body. Notice that when we carry something, we keep it as far to our body as possible. That is not correct because there is the tendency that our back might get hurt especially if we twist whilst lifting. K: Keep your back straight. We have to be reminded that when lifting, we should use our leg muscles not our back when lifting. When it is already lifted, we have to make sure that our back is straight. Slouching might tense our back and in the long run it will hurt. If we do not consider our backs, we will surely suffer the repercussions in time. Working in a safe environment is ideal but accidents happen. In fact, even if you are in an office environment, you are prone to injuries. 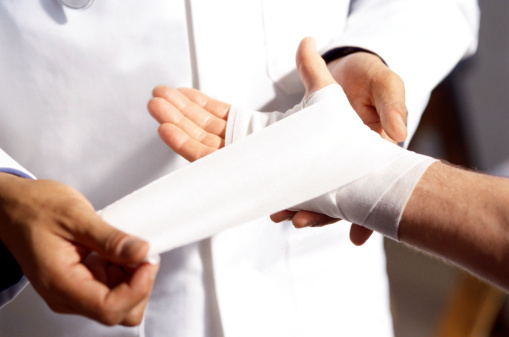 Let this be our guide to prevent the simplest injuries. This entry was posted in Health and Wellness, Workplace Safety by Editor. Bookmark the permalink.